On our way back from the remote town McCarthy, there were several cars pulled over on the side of the road. All visitors to national parks and scenic highways know what this means: a wildlife sighting! 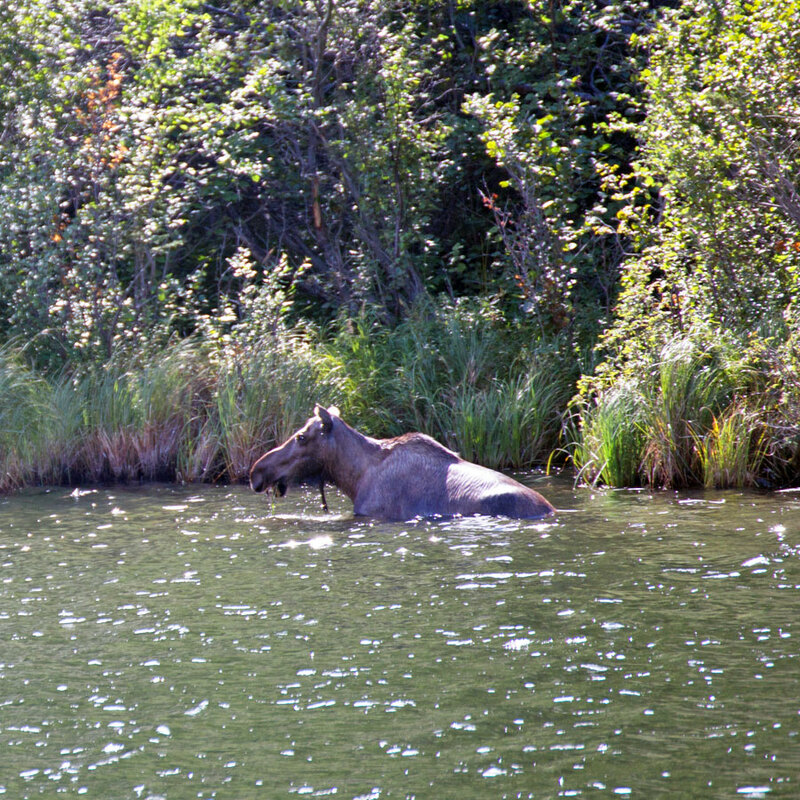 Sure enough, a moose was standing standing in one of the many tiny roadside lakes. Even from a distance, her size was impressive. She stuck her head underwater to eat some plants, then resurfaced, munching, before shaking off like a dog. While we applaud the first person to spot the moose on the far side of the lake, the next animals we saw a few miles later were impossible to miss. We knew we had to stop at Circle F Ranch and learn what the bovine creatures were. Owner Bob Fithian approached us. He told us we were looking at yaks, which are native to the Himalayas. We entered his tiny office, where we had a chance to touch some yak fiber samples. 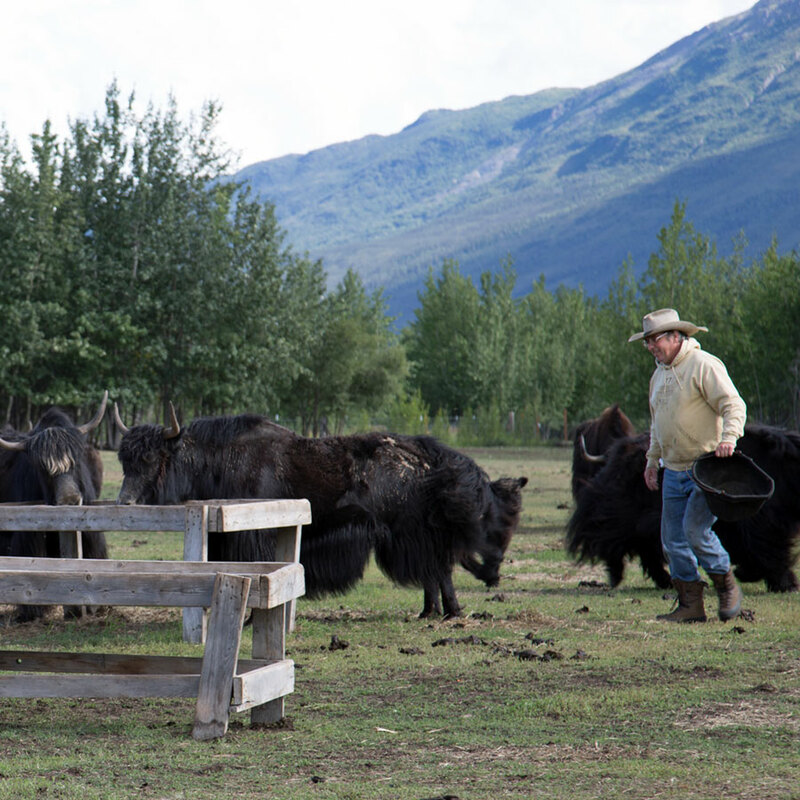 Then he answered all our questions about yak ranching. 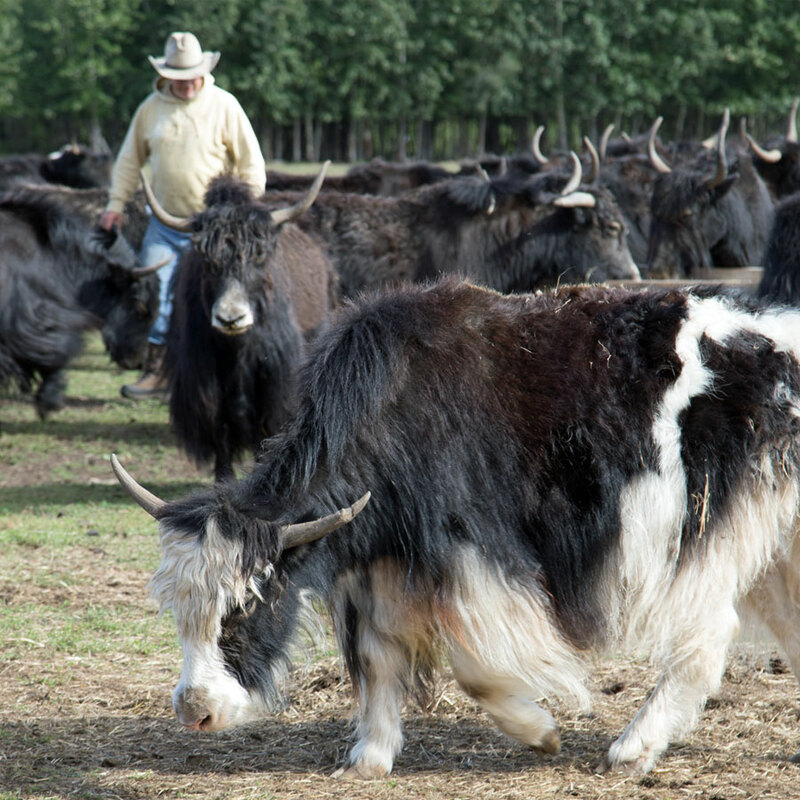 He and his wife Barb had turned to yaks when looking for a grazing animal that was economical, hardy, tasty and provided many benefits to the community and owners. 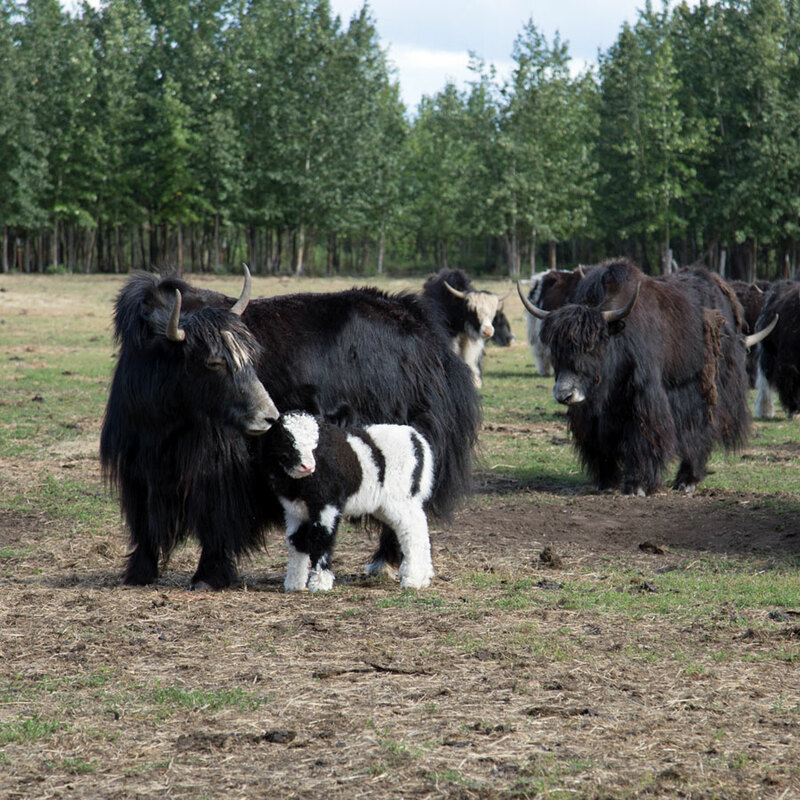 We learned that all yaks, male and female, have horns, and that their coloring is passed down genetically, providing a visual family tree. 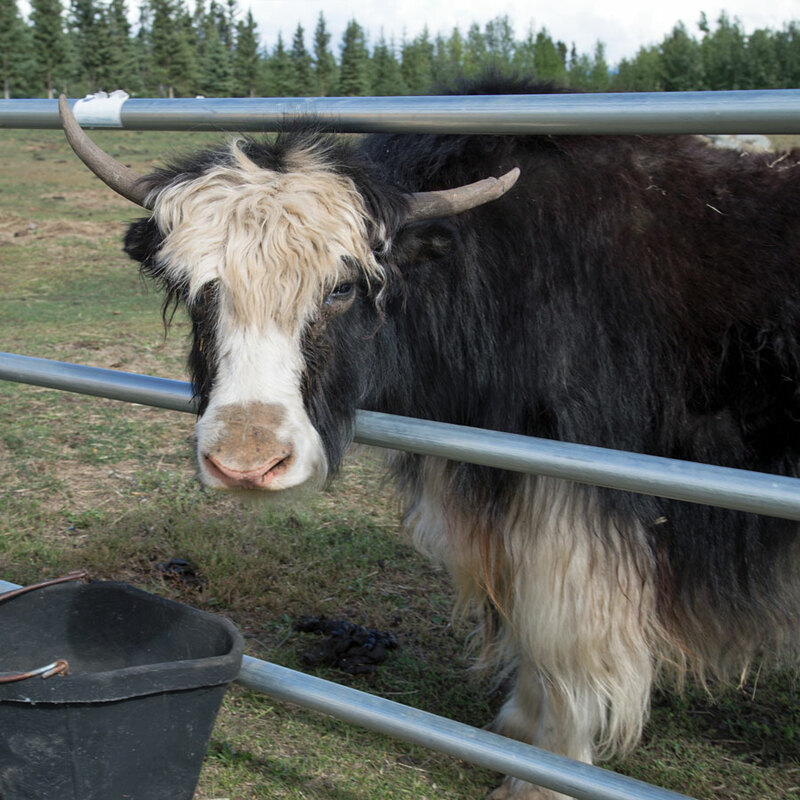 We also learned that Bob names all his yaks, and that he even has one that goes by Marie. He led us back outside, filled his bucket with feed, and treated us to a show. Then Bob talked to us for a while about wildlife conservation in Alaska. Because humans have been subsistance hunting here for a long time, we have impacted the food chain; Bob believes that we need to continue to limit preditors' numbers to ensure healthy ratios and survival rates of all creatures. As he put it, "We love our bears and our wolves," but they can be analogous to weeds that choke out other helpful plants if their populations get too big. Bob has presented his views in Washington, DC many times and become a political advocate for this cause. In 2010, he was recognized by the Secretary of the Interior and Secretary of Agriculture for his conservation efforts, and he served on the Wildlife and Hunting Heritage Conservation Council. 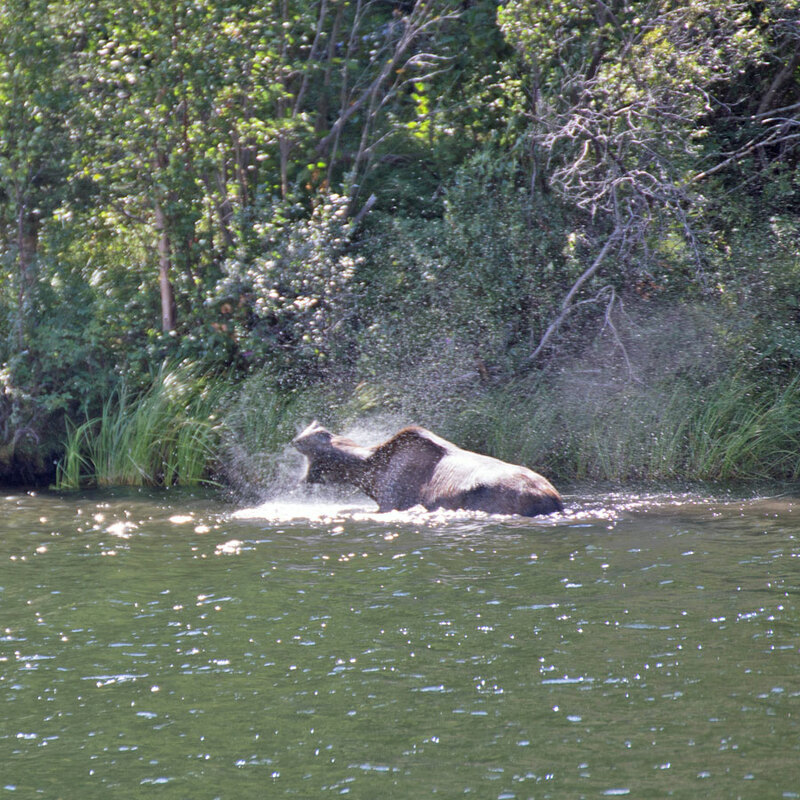 He and his wife also run Alaska Mountain Safaris, which provides sustainable hunting experiences. We appreciated the chance to meet Bob and learn about wildlife conservation from his uniquely Alaskan perspective. 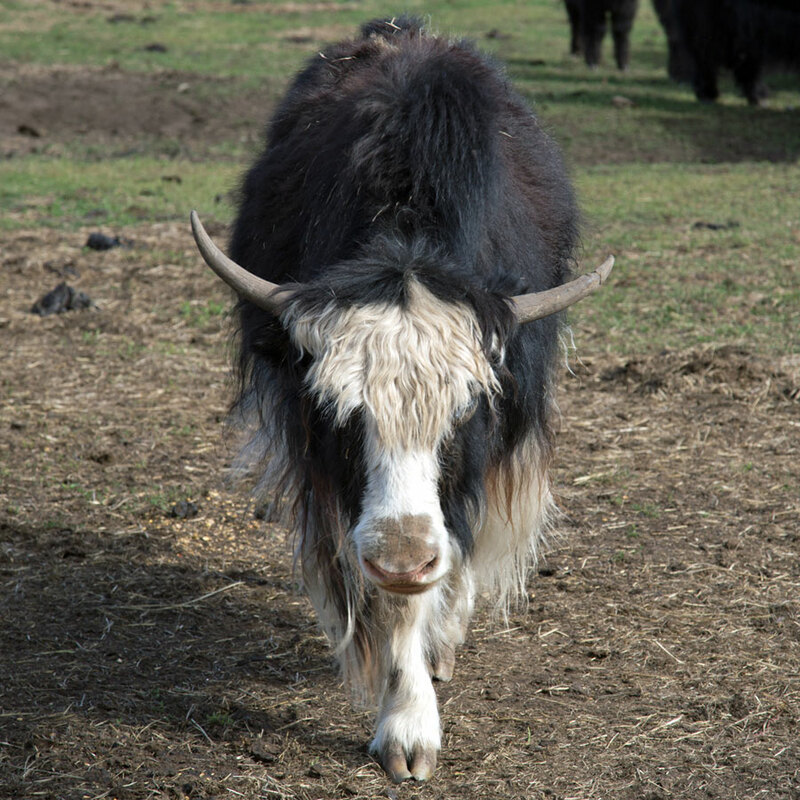 And we loved meeting his beautiful Tibetan yaks. 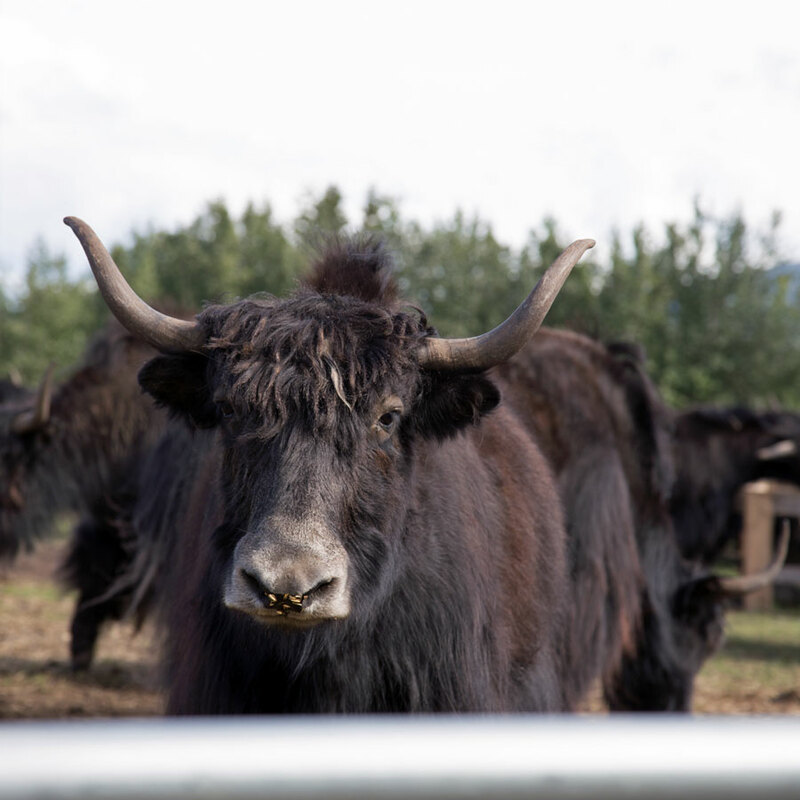 Have you ever encountered a moose or yak? What has been your favorite surprise animal sighting?